NextGen Managed Cloud Services make it easier to access data without the expensive and time-consuming burden of maintaining in-house hardware and networking systems. As we proactively manage your IT systems, you can more efficiently optimize technology, usability, and uptime. Our services adjust quickly to your needs and goals, while enabling you to focus on care and save money. Free up staff and IT resources while intelligently managing expansion and growth. Cost-efficiently handle increased data demands and reduce IT costs. Prevent denial-of-service attacks, detect intrusions, encrypt data, automate daily data back ups, and ensure 24x7 monitoring. Benefit from dedicated hosting support and simplified implementations and upgrades. Solve IT staffing challenges and improve flexibility. 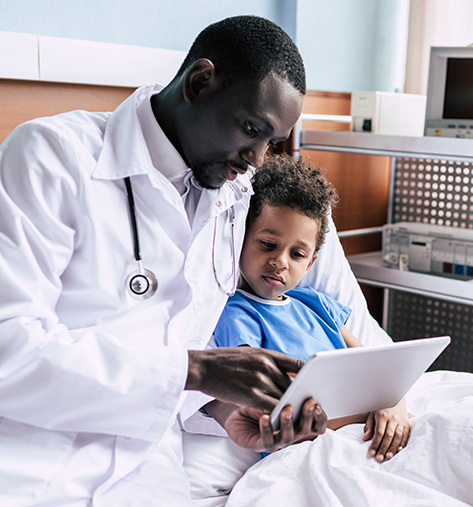 Our services enable you to enhance care and clinician satisfaction by optimizing your EHR and practice management systems. Our services help you minimize mundane tasks, lessen IT burdens and costs, and lower computing costs while freeing in-house IT staff to focus on higher-value needs. Proactive monitoring support and easy upgrades help you improve security and gain substantial network uptime. Our new architecture, integrated system, and world-class facilities support your business needs as they evolve. Scale your solution in hours instead of weeks. 24x7 support eliminates downtime worries. Our proactive alerts and system upgrades help you address issues before they become bigger problems. More than 50 tenured and specialized IT personnel support more than 100,000 hosted users with top-tier executive cloud expertise to ensure efficient migrations. Learn how NextGen Managed Cloud offers convenience, affordability, and 24/7 monitoring and support by expert technicians with state-of the art infrastructure.